We are proud that our clients have recognized our migration agents as “Best Migration Agency” in the prestigious 2017 Immigration Choice Awards. We are so overwhelmed with your exceptional support and we need it again to win this prestigious recognition next year. The TSS visa (482 visa) has now replaced the subclass 457 visa. One of the new requirements for visa applicants is that they must have “worked in the nominated occupation or a related field for at least 2 years”. This criteria must be satisfied at the time of decision, which means that it may be possible to apply for the TSS Visa before the applicant has acquired 2 years of experience. We expect that case officers will generally require such work experience to have been undertaken in the last 5 years prior to the date of application. It may be possible under policy for work that has been undertaken on a part time basis to also be counted. Please note that this does not override any requirements which are stated in the ANZSCO definition of the nominated occupation (which may for example require 5 years of relevant work experience in the absence of appropriate qualifications). The government may introduce a mandatory engineering register, the National Engineering Register (NER). When the NER will be introduced, it may mean that engineers wanting to work in Victoria with an employer sponsored visa may need to register with the NER. Starting from 1 February 2018, students wishing to study in Australia will need to provide more evidence of funds than before. With the January 2018 Student Visa Digest being released, the annual cost of living will go up from 1 February 2018. The new annual living amount that a student or guardian needs to prove in every application that requires evidence of funds is 20.290 AUD. A partner or spouse needs to demonstrate the amount of 7.100 AUD. And for a child, the new annual living amount is 3.040 AUD. Questions relating to English Language requirements for employer sponsored visa applicants are among the most frequently asked. What exactly does “competent” English mean? Firstly it is important to note that generally applicants who hold passports from either the UK, US, Canada, New Zealand or the Republic of Ireland will be exempted from the requirement to demonstrate “competent” English. Cambridge English: Advanced (CAE) test: minimum 169 in each of the 4 test components. The test must also have been taken on or after 1 January 2015 and before lodging the relevant visa application. Unless otherwise indicated above, applicants must have undertaken one of the above tests within 36 months/3 years before they lodge their visa application. Employers / Businesses : Get ready for the Skilling Australians Fund! Employees : Get your employers ready! Currently, employers who wish to sponsor skilled workers either have to pay 2% of their payroll to an industry training fund or spend at least 1% of their payroll on training their Australian employees. One of the major upcoming changes to employer sponsored and skilled visas affects these training benchmark requirements. As of March 2018, business sponsors will no longer be required to meet those training benchmark requirements. Instead, they will be replaced by the requirement to make financial contributions (for each overseas employee who is sponsored) to a newly created Skilling Australians Fund. How will your business be affected by the new regulations? The amount businesses have to pay into the Skilling Australians Fund depends on the size of the business and on the visa subclass utilized to sponsor the overseas employee. The Temporary Skill Shortage Visa will replace the 457 visa soon. Businesses with a turnover of less than A$10 million per year will be required to make an upfront payment of A$1,200 for each employee sponsored on the new Temporary Skill Shortage Visa (TSS). For permanent visas such as the subclass 186 ENS or RSMS visa, small businesses have to contribute A$3,000 to the Skilling Australians Fund. Medium and large businesses with an annual turnover of more than A$10 million will be required to pay A$1,800 and A$5,000 respectively. As an approved standard business sponsor for subclass 457 Temporary Work (Skilled) visa applicants, each employer must comply with various sponsorship obligations. Their obligations generally remain as long as there is a 457 visa holder in their employment and in some cases throughout the businesses’ approval validity period. The sponsorship obligations framework is implemented to ensure that the sponsored visa holders are not exploited and working conditions meet the standards that would apply to Australians performing the same work at the same location. We note that the Department of Immigration and Border Protection intends to commence collection of Tax File Numbers for 457 visa holders (as well as other employer sponsored migrants) before 31st December 2017. The data will be matched with the Australian Tax Office’s records to determine whether a visa holder is being paid less than their nominated salary as notified to the Department as part of the nomination application. This is in response to findings that various approved sponsor businesses have been underpaying their workers and in some cases demanding repayment of their salaries. The Department will also start to publish details of sponsors which have been sanctioned for non-compliance. Seeking Business Visas in Australia? The Department of Immigration and Border Protection is planning to introduce tax file number collection from visa holders of permanent skilled migration visas such as the Employer Nomination Scheme (subclass 186) visa, the Regional Sponsored Migration Scheme (subclass 187) visa, the Skilled – Independent (subclass 189) visa, the Skilled – Nominated (subclass 190) visa, and the Skilled –Regional (Provisional) (subclass 489) visa. The commencement of the collection of tax file numbers is scheduled to commence some time prior to 31 December 2017. The purpose of collection is to enable data to be examined against Australian Taxation Office records so as to ensure that permanent visa holders are actually being paid at least their nominated salary as notified to the Department of Immigration and Border Protection. This is one of the measures to be introduced which seeks to preserve the integrity of the permanent visa programme and is welcomed by Melbourne Migration International. Do you know that 457 sponsors can apply to become an ‘Accredited Sponsor’? The requirements for sponsorship accreditation approval have been relaxed to accommodate low risk sponsors who only use the 457 program occasionally, and sponsorship accreditation is therefore no longer only suitable or attractive only for large volume sponsors. There are currently 4 categories of accredited sponsor, each with different eligibility criteria. Category 1 is for Commonwealth, state and territory government agencies. Category 4 is for low risk sponsors who have sponsored at least 10 457 visa holders in the last two years and who have Australian workers comprising at least 75% of their workforce in Australia. On 10 September 2016, the Entrepreneur stream was added as a new stream to the Business Innovation and Investment (Provisional) visa (subclass 188) by the Department of Immigration and Border Protection (DIBP). Th Entrepreneur stream has the lowest funds requirements in the Business visas for starting-up an innovation. The Minister for Immigration and Border Protection submitted a bill for an Act to amend the Australian Citizenship Act 2007 to the Parliament in mid-June 2017. This bill raises the requirements of applying for the Australian Citizenship, which might cause difficulties for some migrants to gain the citizenship if the bill is being approved by the government. The Minister has the power not to approve a person’s citizenship application if the person has serious offence. This bill was opposed by several parties after the release, we still do not have any idea whether it will be approved or not. The Australian government has announced sweeping changes to the 457 visa program from 19 April 2017. However, the changes will not only have a direct influence on 457 visa applicants and employers, but also on various Australian skilled visas, in particular, the 186 Employer Nomination Scheme visa, also known as the employer sponsored permanent resident visa. However, the news is that foreign CEO’s who had applied for permanent residency before 1 July and are awaiting approval from the Immigration Department will no longer be impacted by the retrospective application of the Government’s new permanent residency rules. Under the new rules, CEO’s annual wages of above $180,000 and who are under the age of 45 years will be able to apply for a permanent skilled visa. With the approval of the Immigration Department, Tasmania has introduced a new visa category for overseas applicants who seeks migration solutions to Australia. This visa category will enable applicants to live and work in Tasmania for up to four years and also offers a pathway to permanent residency in Australia. From 1 July 2017, a new category for the Skilled Regional (Provisional) visa (Subclass 489) has been presented for Tasmanian state nomination for overseas applicants. They are eligible to apply for this category offshore. A state nomination from Tasmania will add 10 points to a skilled visa applicant’s overall score required to qualify for a visa under Australia’s Immigration Department point test. To apply for this visa, an applicant is required to nominate an occupation from Tasmania’s Skilled Occupation List and provide appropriate proof of employment opportunities in the state. Applicants can also secure a genuine offer of employment from employers in the state. 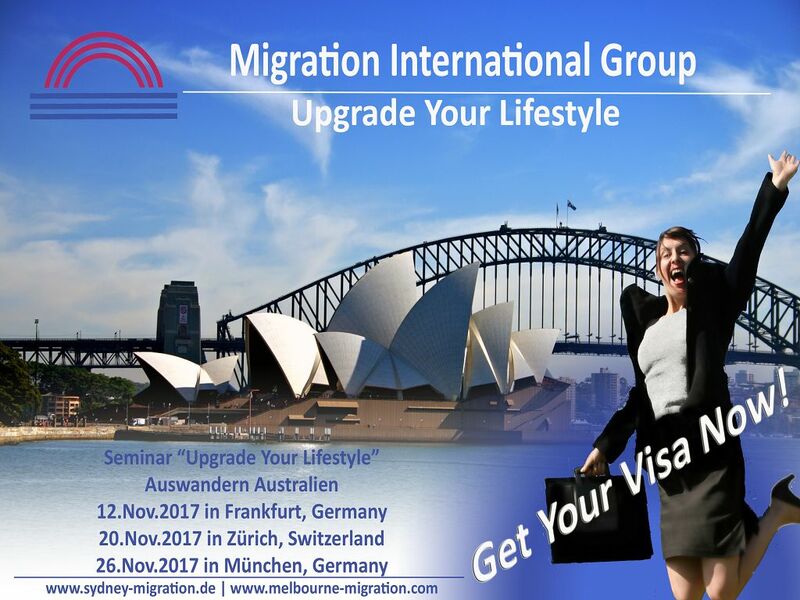 The migration regulations changes made the Immigration Department this 1st July 2017 have brought good news to working holiday visa workers who wish to visit Melbourne, Australia to work and holiday. The Department has amended the eligible age for Subclass 417 Working Holiday, which applicants must be aged at least 18 and no more than 35 years old at the time of application. If an age younger than 35 is specified in an instrument for a specified passport, that younger age limit will be applied. On the other hand, for subclass 462 Work and Holiday Visas, the increase to age limit is only available for those countries where Australia has negotiated a similar bilateral age increase. On 19 April 2017 the occupation lists which determine which occupations are eligible for skilled visas (i.e. subclass 457, 186, 189, 190, 407, 485, and 489 visas) were changed and the eligible occupations were significantly condensed resulting in fewer occupations being available. 457 visas for occupations on the MLTSSL are now issued for a maximum of 4 years. However 457 visas for occupations on the STSOL are only issued for a maximum of 2 years. A number of changes have been implemented effective 1 July 2017 which impact the 457, 186, 187, 189, 190, 485, and 489 visa subclasses. The occupation lists have changed again.The lists which determine which occupations are eligible for the 457 visa and any conditions which apply to those occupations have been changed. New English language requirements. The English language requirements and exemptions have been changed. Notably, 457 visa applications lodged after 1 July 2017 will not be able to claim previous English language salary based exemptions (i.e. which applied to applicants whose salary was over AUD $96,400). Passport holders of the UK, USA, Canada, NZ, and Republic of Ireland are still exempt in addition to other exemptions including applicants who are nominated by an overseas business sponsor if their base rate of pay is over $96,400. Training benchmark requirements have been changed. These have been clarified and prescribed in more detail. Note that from March 2018 the benchmarks will be substituted for a contribution to the Skilling Australians Fund. 4 year visa grants are available to STSOL. Under policy, where requested by the sponsor and required to meet Australia’s international trade obligations, occupations on the STSOL can be granted 4 year terms. Mandatory police clearance certificates. Police clearance certificates are now mandatory. Temporary residence transition stream applicants are unaffected by occupation changes. For temporary residence transition (TRT) stream applicants (i.e. briefly, those who have worked for at least two years on a 457 visa in the same occupation) the criteria are not dependent on the occupation lists i.e. TRT applicants are not impacted by the changes. New occupation list for direct entry stream applicants. For direct entry stream applicants (i.e. those who have never or only briefly worked in Australia and who do not qualify for the temporary residence transition stream) their occupation needs to be on the STSOL or MLTSSL contained in a new list. The new occupation list requirements apply to nomination applications lodged on or after 1 July 2017. Temporary residence transition English level requirements have been raised. TRT applicants must now have competent English (rather than vocational English) unless exempted (IELTS or equivalent test score 6 in each component). There are English language exemptions for Temporary residence transition applicants. Applicants who have completed at least 5 years of full time study in a secondary and/or higher education institution where all of the tuition was delivered in English do not have to demonstrate they have competent English at the time of application. There is a new requirement to demonstrate a genuine need to employ the visa applicant for Temporary residence transition and Direct Entry applicants. Employers must now also identify a need to employ the visa applicant, as a paid employee, to work in the position under the employers direct control. The application will only be approved if the Department is satisfied there is a genuine need. Direct entry eligible age lowered to 45 (limit is still 50 for TRT for now). All DE applicants must now be under 45 years old unless exempted. The TRT age limit remains at 50 for now. Direct entry age restrictions do not apply to certain occupations. The age restrictions for the direct entry stream of this visa subclass do not apply to Researchers, scientists and technical specialists at ANZSCO skill levels 1 or 2 nominated by Australian scientific government agencies and academics nominated by an Australian university as University Lecturers or Faculty Heads. Similar exemptions also apply to persons holding subclass 444 (Special Category) visas or subclass 461 (New Zealand Citizen Family Relationship) (Temporary) visas who have been working in their nominated occupation for the same employer for at least 2 years in the 3 year period prior to their application, as well as medical practitioners employed in regional Australia and nominated in a position located in regional Australia subject to conditions. Temporary residence transition stream age restrictions do not apply to certain occupations. The age restrictions for the TRT stream of this visa subclass do not apply to Researchers, scientists and technical specialists at ANZSCO skill levels 1 or 2 nominated by Australian scientific government agencies and academics nominated by an Australian university as University Lecturers or Faculty Heads. Similar exemptions also apply to persons holding subclass 457 visas for 4 years with annual income above the Fair Work High Income Threshold, as well as medical practitioners employed in regional Australia and nominated in a position located in regional Australia subject to conditions. Training benchmark requirements for direct entry stream applicants have been changed. The training benchmark requirements have been clarified and prescribed in more detail. Note that from March 2018 the benchmarks will be substituted for a contribution to the Skilling Australians Fund. There are exemptions from direct entry skills assessments. Researchers, scientists and technical specialists at ANZSCO skill levels 1 or 2 nominated by Australian scientific government agencies and persons nominated by an Australian university to be employed as University Tutors, University Lecturers, and Faculty Heads are exempt from the requirement to obtain a skills assessment for direct entry purposes. Direct entry eligible occupations are now specified in a new instrument. The eligible occupations for this visa subclass are now specified in a new instrument. There are exemptions from direct entry skills assessments. Direct entry subclass 187 applicants who hold subclass 444 (Special Category) visas or subclass 461 (New Zealand Citizen Family Relationship) (Temporary) visas are exempt from skills assessment requirements if they have been working in their nominated occupation for the same employer for at least 2 years in the 3 year period prior to their application. There are English language exemptions for Temporary residence transition applicants. Applicants who have completed at least 5 years of full time study in a secondary and/or higher education institution where all of the tuition was delivered in English do not have to demonstrate they have vocational English at the time of application. Eligible age lowered to 45. There is a new pathway to permanent residence for New Zealand Special Category visa (subclass 444) holders. Applicants must be on the MLTSSL or STSOL in a specified list. Applicants must be on the MLTSSL in a specified list. Family nominated applicants must be on the MLTSSL in a specified list. Applicants who are state or territory nominated must be on the MLTSSL or STSOL in a specified list. Further changes are expected on or around 31 December 2017 and again in March 2018. One of the key reforms is the abolishment of the 457 visa and its replacement with a new Temporary Skill Shortage Visa in March 2018. Please contact our Migration Agents and Immigration Lawyers if you have any questions. We are always here to help! Reduction of the Maximum Age: The maximum age for the Skilled Independent Subclass 189 visa applicant is set to be below 45 years. Revision of Skilled Occupation Lists: MLTSS and STOL occupation lists are likely to be reviewed and some flagged occupations, particularly in the engineering sector are likely to be removed. Limitation of Skilled Invitation Numbers: Occupations ceilings representing maximum numbers of invitations that can be issued to the Skilled Independent Subclass 189 and Skilled Regional Provisional Subclass 489 visa applicants will be introduced. State Sponsorship: Nominated Skilled State Migration programs will reopen. Many occupations are expected to be filled quickly so that applicants should to lodge their applications as early as possible. The Bill will set out to reinforce the requirements to become an Australian citizen by increasing the residence requirement and introducing an English competency requirement among other changes.